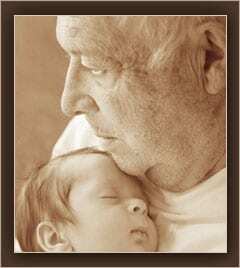 It’s only natural as we age to think about what we will leave our children, grandchildren, and generations beyond in the way of a legacy. For some it will be a financial portfolio, Grandma’s china or a set of prized golf clubs or tools. Many, though, recognize the value of handing down something more meaningful; the family history, life lessons and values. In the past, this has taken the form of personal journals, photo albums and even family scrapbooks. Due to advances in technology, however, people are now turning to a more visual format – Family Documentary Videos – as a way to pass on their stories while ensuring a lasting and living legacy. Sadly, when stories aren’t passed from one generation to the next, they simply disappear; as if whole lives never existed. 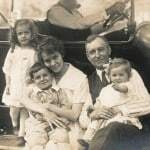 And while names and dates can usually be retrieved from public records, the personalities, quirks, everyday achievements, sorrows, hilarity, and life lessons that make up the intimacy of family experience and legacy, only survive in the stories and remembrances that are passed directly and intact from one generation to the next. Compared to a photo album, scrapbook or other keepsakes, a Family Documentary Video will forever breathe life into the names, dates and places relevant to a family’s story. Such a gift was not previously possible. And, as DVDs can be easily distributed amongst family members, it ensures that the stories will be just as vivid and “alive” years from now, as they are today. It is exciting that in today’s multi-media age, we have a whole new way to leave our legacy for the next generation.